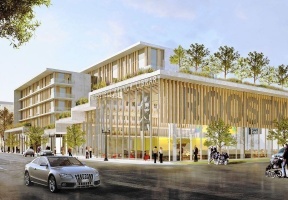 Chicago Public Library announced the “Branching Out: Building Libraries, Building Communities” strategy to develop and modernize community libraries throughout the city. 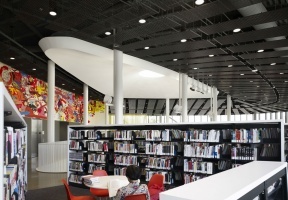 This plan follows the successful 21st century transformation of Chicago’s library system, which has seen over $250 million in new investments in capital, people and programs since 2011. Branching Out focuses on investing in key areas of neighborhood libraries including: modern facilities and infrastructure, and high quality programming with trained teachers, librarians and administrators. Since 2011, six new libraries have been built, and significant updates have been made at 14 branches. By 2019, an additional five new libraries will be built, and renovations at four libraries will be complete. Chicago Public Library serves 9.9 million people a year.